« Noord Korea, wat is dat voor land? De Koreaanse Oorlog (1950-1953) is niet alleen een “vergeten” oorlog, het blijkt ook een “verdraaide” oorlog, waarbij oorzaak en gevolg worden omgedraaid. Officieel vochten de dappere Amerikanen (en Nederland!) tegen de vreselijk gevaarlijke communisten van Noord Korea, in een strijd voor vrijheid en democratie. In werkelijkheid waren er zowel in Noord Korea als Zuid Korea talloze communistische cellen actief in hun strijd tegen de Japanse bezetting. Nadat de VS met twee atoombommen Japan had verslagen, werd Korea verdeeld tussen de Sovjet Unie en de VS. De Sovjet Unie gaf de macht over Noord Korea aan Kim il Sung, een communistische strijder die ook in het zuiden veel aanzien genoot. In Zuid Korea vervolgde de door de VS in het zadel geholpen militaire regering alle communisten! Vanwege de vele verdraaiingen als het gaat om Noord Korea, is het lastig om te begrijpen waarom Noord Korea atoombommen heeft ontwikkeld. Wie iets meer begrijpt van de Koreaanse Oorlog, zal zeggen: dat is logisch en verstandig. De zogenaamde democratie in Zuid Korea is maar betrekkelijk. Hoewel het (halve!) land zich na WW II in snel tempo economisch ontwikkelde, produceert Zuid Korea voornamelijk voor de export, terwijl 15% van de bevolking onder de armoedegrens leeft. En die democratie valt nogal tegen! Ook heeft de VS in Zuid Korea talloze militaire bases, zodat het land feitelijk nog bezet is. We are fighting in Korea so we won’t have to fight in Wichita, or in Chicago, or in New Orleans, or in San Francisco Bay. Why has this tiny nation of 24 million people invested so much of its limited resources in acquiring nuclear weapons? North Korea is universally condemned as a bizarre and failed state, its nuclear posture denounced as irrational. Yet North Korea’s stance cannot be separated out from its turbulent history during the 20th Century, especially its four decade long occupation by Japan, the forced division of the Korean peninsula after World War II, and, of course, the subsequent utterly devastating war with the United States from 1950-1953 that ended in an armistice in which a technical state of war still exists. Korea is an ancient nation and culture, achieving national unity in 608 CE, and despite its near envelopment by gigantic China it has retained its own unique language and traditions throughout its recorded history. National independence came to an end in 1910 after five years of war when Japan, taking advantage of Chinese weakness, invaded and occupied Korea using impressed labor for the industries Japan created for the benefit of its own economy. As always the case for colonization the Japanese easily found collaborators among the Korean elite Koreans to manage their first colony. Naturally a nationalist resistance movement emerged rapidly and, given the history of the early 20th Century, it was not long before communists began to play a significant role in Korea’s effort to regain its independence. Een video van James Corbett verklaart ook een hoop. Hij praat met James Perloff, die een reputatie heeft als conspiracy theorist. Exploding the Korean War Lies duurt ruim 36 minuten. On the 65th anniversary of the beginning of the Korean War James is joined by James Perloff of jamesperloff.com to discuss his in-depth article, “The Korean War: Another Conflict that Served the Illuminati Agenda.” From deals with the Soviets to protection for the Chinese to pulled punches and “missed” opportunities, we examine how the pretext for the war was created, why it was thrown, and who was behind it. In de VS werd deze oorlog in heldhaftige termen verslagen. De volgende video uit 1951 knalt er vrolijk op los, maar let ook op het commentaar: de “reds”, de “ennemy” en zo voort, die moet men verslaan met wapens. Er valt eenvoudig niet te praten, het is een heroïsch slagveld. Fire: Artillery Action in Korea 1951 US Army; Korean War Artillery Operations duurt 13 minuten te lang! Er staan meer van dit soort films online, waaronder een lange: A Motion Picture History of the Korean War – Restored, 1955 duurt 55 minuten. Als Noord Korea geen kernwapens had gehad, dan zou ook dat halve land nu moeten dansen naar het pijpen van de VS. Goedkope arbeid, industrie voor de export, aandeelhouders gespekt en gepamperd, het BNP gaat boven alles! Dat noemt men dan welvaart. In Noord Korea denkt men daar anders over, daarom rukt de Amerikaanse vloot nu op naar het schiereiland. Dat zowel Rusland als China daar niet gerust op zijn, blijkt uit het feit dat beide landen nu troepen verplaatsen naar hun grens met Noord Korea. Dat land heeft kernwapens en het laat zich niet intimideren! USS Carl Vinson to Arrive Near Korean Peninsula, North Korea Has Said it is Not Afraid – The USS Carl Vinson, 1,100 feet long, has a displacement of 97,000 tons and sails with two nuclear reactors and about 60 aircraft. It’s escorted by a guided-missile cruiser and two destroyers. Booting U.S. troops out of Korea would be the best thing that could have happen to the South Korean people and the Japanese people. For one thing, it is highly unlikely that North Korea would resume the civil war, given that South Korea has a much more powerful military and a prosperous society to fund such a war. But if such a war were to break out, it would likely remain conventional, rather than go nuclear, given that Koreans would be fighting Koreans rather than North Koreans fighting Americans. Finally, with the U.S. government out of the picture, the chances of a diplomatic resolution between the two halves of Korea would be much higher, if for no other reason than that both societies would undoubtedly prefer to avoid the death and destruction the resumption of their civil war would produce. The Haircut (2017) – A North Korean Adventure duurt ruim 20 minuten. The isolated, hermit kingdom of the DPRK is shrowded in secrecy, It’s nearly impossible to get any reliable information from behind the bamboo curtain. Nonetheless, every week, on T.V. and online, we are bombarded by the bizzare media-spectacle of North Korea. From nuclear apocalypse and prison camps to banned sarcasm and compulsory identical haircuts – any shred of information regarding North Korea becomes a viral media hit, regardless of how dubious the story is. Two Aussie boys decided to take matters into their own hands and go to North Korea to find out the truth for themselves. Join us as we look past the clickbait and unpack the forces behind the way our media represents the “Democratic People’s Republic of North Korea”. CrossTalk: North Korea Saga duurt 25 minuten. We have heard it all before – all options are on the table – and of course, that means the use of force. This time North Korea is in the crosshairs. The usual bellicose language is used and threats are made. What is missing is diplomacy. CrossTalking with James Bradley, Ken O’Keefe, and Mohammad Marandi. Drie artikelen, waarvan de laatste wel een MUST READ is, maar slechts begrijpelijk als men de politiek jegens Noord Korea heeft gevolgd. Het laatste artikel gaat over de economie van de dollar versus China. There is a great deal of propaganda and deliberate misinformation about North Korea, which the public should know. While neocons, a cheering corporate media, and Deep State, rush to war with North Korea, information is the ultimate weapon. For example, did you know that North Korea, China, and India, are the only three nations who have committed to a “no nuclear first” policy. They have pledged never to use nuclear weapons “first”, but of course reserve the right to use them if attacked. How many times has the US threatened to use nuclear weapons against North Korea? Do you know that North Korea has repeatedly asked the US to engage in bi-lateral talks, to cool off the ever-escalating tension? The offer was flatly rejected by both Obama and Trump. Can you resolve differences within your family without dialog? No dialogue, no peace. Why won’t the US talk to North Korea?? This time with North Korea. Why? The only real constant to be found in both European and US politics is war. A steady feature of both regions for the past 20+ years has been small, lucrative conflicts waged against countries unable to effectively defend themselves. It doesn’t seem to matter who’s in office in the US — Republican/Democrat, conservative/liberal — there’s a war machine constantly running. My concern is that there’s a building risk that one day that war machine is going to bust apart. And when it does, the long relative peace that the US and Europe have enjoyed (even as they’ve visited a lot of death and destruction elsewhere) will be shattered. America’s renewed desire to escalate military tensions is a front for America’s continual financial war, this time directed at North Korea, Syria and possibly Iran. This is likely to be the opinion of China’s strategic advisors. We analyse the geopolitics and economics behind America’s war strategy from China’s perspective, concluding that it is entering its final phase. China’s exit plan appears to be to tie the pricing of energy and then other major commodities to gold, returning to the pre-1971 status quo, when the dollar was just a settlement link between commodity prices and gold. Except this time, the dollar itself will be side-lined, so far as China is concerned, which will use the yuan instead for its empire, which will be far larger than that of the US in time, measured by GDP. During the Korean War, the United States dropped more bombs and napalm on North Korea than was used against the Japanese during World War II. The carpet bombing destroyed all of the cities and most of the villages in North Korea. 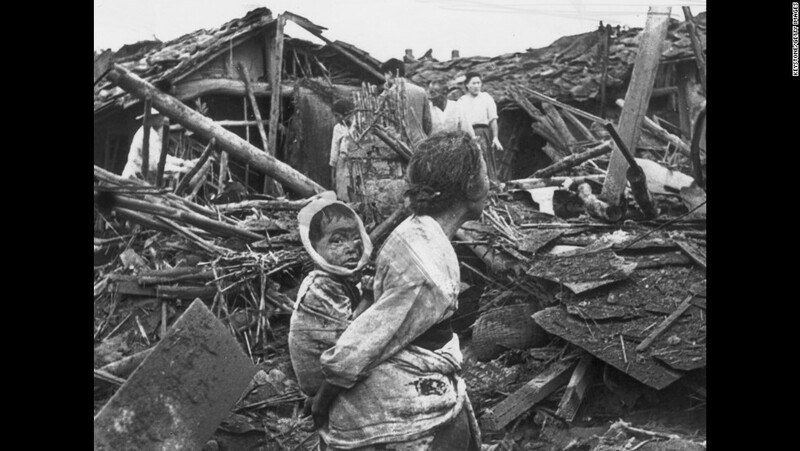 More than 3,000,000 Korean civilians died in the war—most were in the North. Since the war ended with a cease fire in 1953, the North has been governed by the Kim family dictatorship, which uses the threat of American aggression to maintain its ironfisted physical and mind control of the North Korean people. President Trump is now threatening another destructive war against the North Korean people and their society. He must not be allowed to do this—there is another way to deal with the problem. As a matter of policy, Trump can redirect his energy and efforts onto the person of Kim Jong-un, the country’s dictator, who not only threatens the safety of other nations, but who holds his own people in slavery. Why should the United States make war against a captive nation and its helpless people when there is a more effective solution? A reader asked why neoconservatives push toward nuclear war when there can be no winners. If all die, what is the point? The answer is that the neoconservatives believe that the US can win at minimum and perhaps zero damage. Tja, en op het Binnenhof hebben wij er hier ook zo een 150 van. Dit artikel gaat niet alleen over Noord Korea, maar over de manier waarop de VS op alle fronten de wereld bedreigt en bombardeert. Volgens deze professor in de psychologie kan dat leiden tot een boemerang-effect, waardoor de bedreigde landen gaan terugslaan! En een nucleaire BOEM is HO!!! Academic psychology does not rank high on solutions to international crises, but it does have a concept worthy of our attention, “reactance” or the boomerang effect. The more you push forward, the greater the pushback. It is curious how mainstream media wonks on Meet the Press or Face The Nation rarely venture into this terrain. For one thing, there is almost no discussion of Israel’s nuclear cruise missiles on three submarines stationed off the coast of Iran. They patrol 24-7, and they can reach any target in Iran in a matter of minutes. Corporate media censorship on this issue is absolute and ironclad. How can one talk about Iran’s development of nuclear weapons—as a boomerang reaction to Israel’s constant nuclear threat—if there is no permissible discussion of Israel’s nuclear threat in the first instance? According to North Korea’s ministry of state security, the CIA has not abandoned its old ways. In a statement on Friday, it accused that the CIA and South Korea’s intelligence service of being behind an alleged recent an assassination attempt on its leader Kim Jong-un. The alleged North Korean plot sounds crude. But intelligence agencies still resort to crude methods. The alleged North Korean plot recalls the assassination of the Russian dissident Alexander Litvinenko in 2006. A British inquest concluded he had been killed by the Russian intelligence agency using polonium hidden in a teapot. The US has developed much more sophisticated methods than polonium in a tea pot, especially in the fields of electronic and cyber warfare. A leaked document obtained by WikiLeaks and released earlier this year showed the CIA in October 2014 looking at hacking into car control systems. That ability could potentially allow an agent to stage a car crash. Recent failed North Korean missile attempts – as well as major setbacks in Iran’s nuclear programme – have been blamed on direct or indirect planting of viruses in their computer systems. Why Is North Korea the United States’ Problem? A quick glance at a map illustrates that the North does not threaten America. In fact, the Democratic People’s Republic of Korea has never threatened America. The two nations do not share a land border, so Pyongyang could not easily send its vast legions to conquer the U.S., as in the last iteration of the movie Red Dawn. The DPRK does not have a Blue Water navy, so no armada could invest and invade Guam, let alone Hawaii. Since North Korea possesses no long-range bombers, Kim’s air force could not reduce U.S. cities to rubble. And even now the North does not have ICBMs capable of reaching, let alone accurately targeting, America. In the normal course of events, the Kim dynasty wouldn’t give the U.S. much thought. North Koreans certainly wouldn’t be feverishly working on weapons designed to threaten the global superpower, which has the capability to incinerate Pyongyang many times over. However, Washington has been threatening the North for 67 years. As told by most history textbooks in the U.S., the Korean War started with a June 25, 1950, invasion from the communist north and the freedom-loving U.S. came to the aid of the besieged democratic Republic of Korea in the south. The reality was very different. Not only did the RoK’s dictatorial, fascist-like regime of U.S. puppet Syngman Rhee make the first move, it had prepared for it for more than a year in advance. These preparations included using paramilitary fascist organizations and the regular army for cross-border raids on northern villages to test the defenses of the Democratic People’s Republic of Korea (DPRK). Domestically, the preparation meant carrying out large-scale executions of suspected communists, leftists and anyone who opposed the neo-colonial rule of the U.S. in the south. 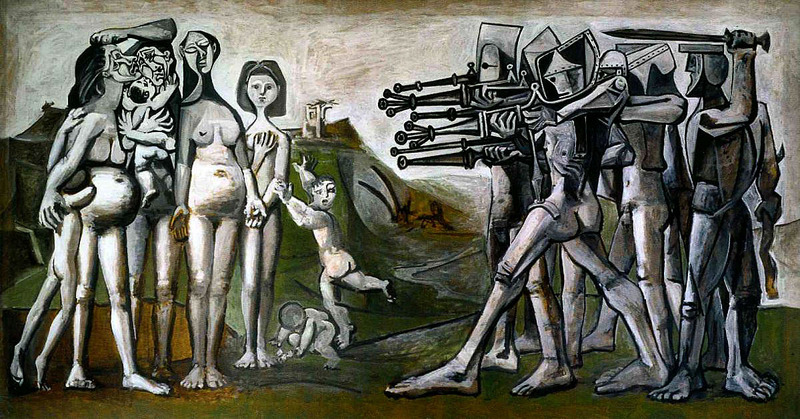 The majority of these massacres took place throughout the summer of 1950, but thousands of civilians were executed by RoK military and police throughout the war. The U.S. military—which had operational command of the RoK army—not only was aware of the massacres, but assisted and even directed many of the executions. North Korea celebrated the 85th anniversary of the foundation of the Korean People’s Army on 25 April, amid round-the-clock television coverage of parades in Pyongyang and enormous global tension. No journalist seemed interested in asking why it was the 85th anniversary when the Democratic People’s Republic of Korea was only founded in 1948. What was really being celebrated was the beginning of the Korean guerrilla struggle against the Japanese in north-east China, officially dated to 25 April 1932. After Japan annexed Korea in 1910, many Koreans fled across the border, among them the parents of Kim Il-sung, but it wasn’t until Japan established its puppet state of Manchukuo in March 1932 that the independence movement turned to armed resistance. Kim and his comrades launched a campaign that lasted 13 difficult years, until Japan finally relinquished control of Korea as part of the 1945 terms of surrender. This is the source of the North Korean leadership’s legitimacy in the eyes of its people: they are revolutionary nationalists who resisted their country’s coloniser; they resisted again when a massive onslaught by the US air force during the Korean War razed all their cities, driving the population to live, work and study in subterranean shelters; they have continued to resist the US ever since; and they even resisted the collapse of Western communism – as of this September, the DPRK will have been in existence for as long as the Soviet Union. September 12, 2017 “Information Clearing House” – In the current stand off between Washington and North Korea, western governments and media almost invariably present the Democratic Peoples Republic of Korea (North Korea) as a crazed aggressor. Yet the recent confrontation comes 72 years after Roosevelt and Stalin divided the colonised Korean people at the 38th parallel, and 60 years after the US brought nuclear weapons to the peninsula. The US military still occupies southern Korea and, in the current climate, the reunification summits of 2000 and 2007 seem a distant memory. Rarely do we listen to the North Korean side. Yet it should be no surprise that they have a distinct perspective on the successive Japanese and American attacks, invasions and occupations that have defined their past century. Even when UN commissioned ‘human rights’ reports are prepared, it is not thought necessary to get the North Korean view, or even to visit the country. Popular western history blames North Korea for starting the Korean war (1950-53). By this story the US is said to have intervened (killing more than 4 million, according to the DPRK) to ‘protect’ South Korea from ‘communist aggression’. 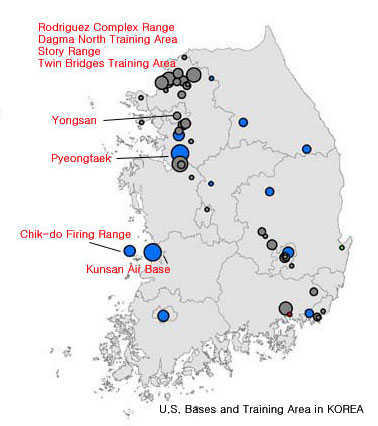 However the North Koreans themselves, and many socialist historians, point to US military planning for complete annexation of the peninsula, as spelt out by the 1949-50 head of US occupation forces, General Roberts. Let’s also remember that, immediately after the Korean War, the US backed military interventions and coups in Cuba, Guatemala and Iran and began its long war in Vietnam. With two colleagues I visited the DPRK in late August. North Korean leader Kim Jong-Il was using the regime’s missile development as a prod to get the Clinton administration to negotiate a deal that would include concrete steps toward normalization of relations. He even sent a personal envoy to Washington to present the outline of a new North Korean offer to give up the regime’s quest for an ICBM, as well as its nuclear weapons capability. In October 2000, Secretary of State Madeleine Albright went to Pyongyang, and the two sides came close to a final agreement that would have ended North Korean missile development as well as its nuclear weapons program and led to normalizing relations. But Clinton didn’t go to North Korea to sign the deal in the final months of his presidency, and the election of George W. Bush in November 2000 was a major victory for the missile defense lobby. Paniek in Hawaï, want Noord Korea zou een missile met atoombom op het eiland hebben afgestuurd. Loos alarm, maar het maakte wel dat de oorlog tegen Noord Korea opeens echt is! “Why, oh why, do they hate us?” So runs the plaintive American cry, as if Washington hasn’t directly and indirectly (through blood-soaked proxies like the Indonesia dictator Suharto and the death-squad regimes of Central America during the 1970s and 1980s) killed untold millions and overthrown dozens of governments the world over since 1945. As if the U.S. doesn’t account for nearly 40 percent of the world’s military spending to maintain at least 800 military bases spread across more than 80 “sovereign” nations. A guaranteed end of the yearly U.S. maneuvers would allow North Korea to lower its conventional defenses without relying on nukes. The link between the U.S. maneuvers and the nuclear deterrent North Korea is making in its repeated offer is a direct and logical connection. Following this economic logic North Korea offered to freeze its nuclear development if the U.S. and South Korea freeze their large scale maneuvers. There is the ‘freeze for freeze’ North Korea had offered and China promoted. The U.S. stops the large “strategic” maneuvers involving nuclear capable bombers flying from Guam, aircraft carriers and the like, while North Korea stops testing nukes and missiles. North Korea achieved its first aim. It can now lower its miliary posture and develop its economy.